Evaluation and comparison of immediate effect of the orthopedic shoe with vibration mechanism on balance parameters in elderly and young subjects. Design and manufacture of a Transfemoral prosthetic socket with silicone brim and studying its effect on pressure rates in proximal weight bearing areas in comparison with conventional socket. Design and Fabrication a pneumatic suspension system in transtibial supracondylar prosthesis and its effect on re-sidual limb pistoning. Evaluation of the immediate effect of two types of ankle-foot orthosis on Peroneus longus muscle onset latency in response to sudden ankle perturbation in athlete with functional ankle instability. Immediate effects of the new modified UCBL foot orthosis on electrical muscle activity and kinetic parameters of gait in adults with symptomatic flexible flat foot. 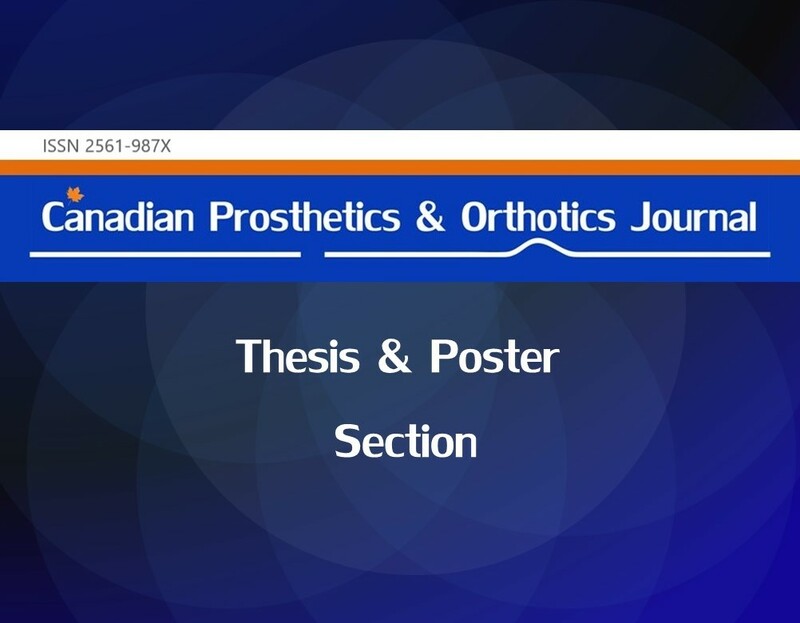 Canadian Prosthetics & Orthotics Journal (CPOJ) is an international peer-reviewed open-access journal (ISSN 2561-987X) established in Ottawa, Canada in 2017. 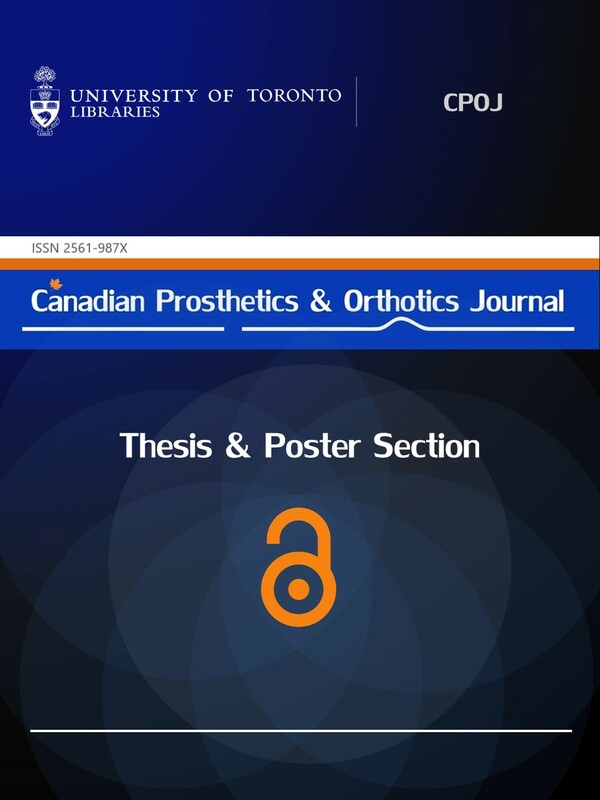 Canadian Prosthetics & Orthotics Journal promotes unrestricted access to articles for prosthetics and orthotics professionals, researchers, and rehabilitation teams. The scope of the journal includes prosthetics, orthotics, rehabilitation sciences, Mobility Assistive Technology (MAT), Internet of Things (IoT), and Artificial Intelligence (AI) in the prosthetics and orthotics field. Besides publishing research articles, CPOJ also offers a free thesis abstract/Poster publishing service to offer international scholars and researchers a global platform to present their valuable work and increase their research visibility. One of the aims of the journal is to create a wide and reliable repository of Thesis abstracts and Posters in the field of prosthetics, orthotics and rehabilitation sciences. CPOJ encourages international scholars and researchers to submit their theses abstracts and/or research posters in order to disseminate internationally. These scientific and engineering contributions could become an excellent source of knowledge for clinicians, prosthetists, orthotists, researchers and people with disabilities.The published Theses abstracts and posters are simultaneously licensed under a Creative Commons (CC) Attribution License.There is no formal review process or article processing charge (APC) for the poster and thesis abstract submission. Please download and complete the Thesis Abstract form and submit the completed form by email (cpoj@online-publication.com).